Can I get heated seats? Do I have to get a sunroof? 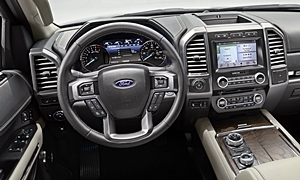 Find out what you need to know about Ford features right here. Power-adjustable pedalsPedals adjust fore-and-aft to provide the optimal relationship with the steering wheel. Pedals adjust fore-and-aft to provide the optimal relationship with the steering wheel. Curve controlSlows vehicle down when it senses that the vehicle is going too fast for a curve. Slows vehicle down when it senses that the vehicle is going too fast for a curve. Driver drowsiness monitorWarns when driver is drowsy and needs to pull over. Warns when driver is drowsy and needs to pull over. Obstacle detection, sideWarns if the side of the vehicle is about the scrape something. Warns if the side of the vehicle is about the scrape something. Wide-view rear cameraWide angle camera allows the driver to see well to each side from the very rear of the car when pulling out of parking spaces or side streets. A second selectable view. Wide angle camera allows the driver to see well to each side from the very rear of the car when pulling out of parking spaces or side streets. A second selectable view. Integrated trailer brake controllerControls brakes on trailer. Semi-automated trailer reversing systemDriver uses a knob to specify a trajectory for the trailer. System then steers the vehicle while reversing. Driver uses a knob to specify a trajectory for the trailer. System then steers the vehicle while reversing. SlingPlayer supportConnect to cable or satellite TV via a home-based Slingbox (purchased separately) and the internet. Connect to cable or satellite TV via a home-based Slingbox (purchased separately) and the internet. Interior ambient lighting, configurableLEDs cast a soft glow over and/or highlight parts of the interior. Can change the colors of the lights. LEDs cast a soft glow over and/or highlight parts of the interior. Can change the colors of the lights. Manual fore-aft center section, second row seatBrings center section closer to front seats, making it easier to reach from the front seat. Useful for an infant in a car seat. Brings center section closer to front seats, making it easier to reach from the front seat. Useful for an infant in a car seat. Manual lumbar adjuster, passenger seatManually adjustable lower back support. Massage, driver seatPower lumbar or vibration used to massage lower back. Power lumbar or vibration used to massage lower back. Massage, passenger seatPower lumbar or vibration used to massage lower back. Power release, second row seatsSeats tumble forward at the press of a button. Must be returned to upright position manually. Seats tumble forward at the press of a button. Must be returned to upright position manually. Power-folding headrests, third row seatsFold at press of a button on the instrument panel, to improve rearward visibility. Fold at press of a button on the instrument panel, to improve rearward visibility. 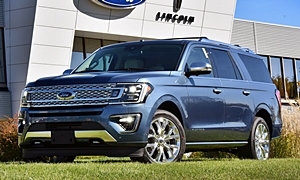 None of our members have yet commented on the available features of the 2018 Ford .